Martin Luther taught that a Christian is simultaneously saint and sinner. Thus Luther would be the first to admit that he was not a perfect man. 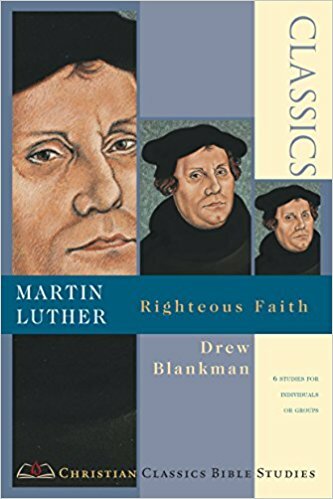 Luther handled most issues with an attitude of “my way or the highway.” But Christians the world over are greatly indebted to Martin Luther. Besides championing justification by faith and reforming the church, he feverishly worked to get the Bible into the language of everyday people, was instrumental in establishing universal public education for children, and was an advocate for the priesthood of all believers. This colourful man truly is one of the great heroes of the church. 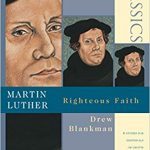 As you work through Drew Blankman’s Christian Classics Bible Study based on Luther’s thought and teaching, you’ll have the opportunity to grapple with Scripture and learn how God might use you, “warts and all,” to further his kingdom. Note: Registration is required. Please sign up at the admin table.